With the Reebok Pro flat bench, the possibilities are endless. 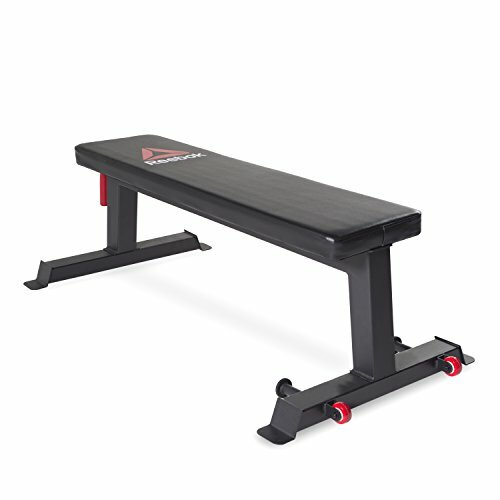 Featuring high density foam cushioning, the 10" x 47.5" bench provides a comfortable and sturdy surface for Weightlifting, with a 17" ground clearance for greater stability and reduction of back arch through your lift. Taking the weight bench back to basics, the Reebok Pro flat bench is straight forward to assemble whilst its integrated wheels and handle make it easy to manoeuvre. For all levels of intensity and weight, the Reebok flat bench is a rock solid foundation for your workout.